Coinciding with Anni Albers’ retrospective at Tate Modern this autumn, fashion designer Paul Smith has partnered with the Josef and Anni Albers Foundation to create a capsule collection inspired by the artist’s pioneering textile designs. For this special collection, Paul Smith reinterprets classic Anni Albers tapestry designs and reworks them into colourful knitwear and accessories. Join us for this unique opportunity to hear Paul Smith talk about his longstanding interest in the work and life of Anni Albers. The event will be chaired by writer and critic Alice Rawsthorn and includes an audience Q&A. Alice Rawsthorn is an award-winning design critic and author of the critically acclaimed book Design as an Attitude. 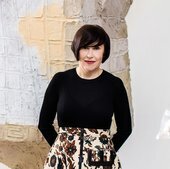 Alice chairs the boards of trustees of The Hepworth Wakefield in Yorkshire and Chisenhale Gallery in London. A founding member of the Writers for Liberty campaign to champion human rights, she was awarded an OBE for services to design and the arts. 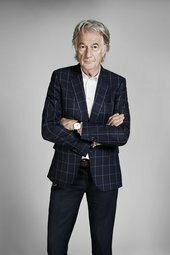 Sir Paul Smith is one of Britain’s foremost designer. He is renowned for his creative spirit, which combines tradition and modernity. Famous for his clothing and accessories collections, Paul Smith specializes in an inventive use of traditional craftsmanship and cutting-edge design to create beautifully made, desirable, modern pieces.